Praia Entertainment Group – Thanks for visiting our corporate home on the web. Thanks for visiting our corporate home on the web. Joseph Mirrione’s music career began in New York at the age of 15. 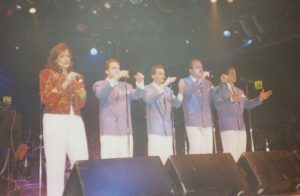 His commitment to excellence was first on display in his group Younger Dayz, called “one of the best acappella groups of the nineties” by Classic Urban Harmony and voted the Group of the Year in 1994 by the United in Group Harmony Association. Over a career spanning 20+ years, Joe has managed artists, been publisher and associate editor of two music publications, released Grammy Award winners’ music on his record label, and, of course, produced and promoted concert events. 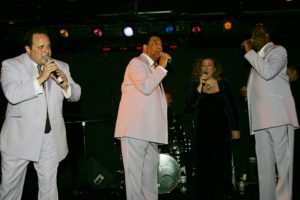 From 2005 to 2011, Joe recorded with and toured with Rock & Roll Hall of Fame inductee Terry Johnson & the Flamingos, performing at some of the most prestigious and legendary venues in the world. As proficient in the studio as he is on stage, Joe’s recordings have been featured on over 20 compilations, played on radio stations around the globe and featured in TV shows. He is the creator and producer of the cabaret series Jazz, Bossa & Blues Live as well as several major concert productions including: Pop, Rock & Doo Wopp Live (which feature hit recording artists and pioneers from the first decade of rock and roll), Stars of the Sixties (which feature hit recording artists of the mid to late 60s) and Back to ’76 (which feature soft-rock hit recording artists of the mid 70s). These productions comprise over 30 events presented annually, in 20 different markets around the country. Outside of the music business, Joseph Mirrione has worked intimately with numerous multi-national organizations in the fields of health care, security, education and humanitarian aid. Having been recruited by the US Government to serve on an elite team of professionals following the events of September 11th, 2001, Joseph is proud to be recognized as a charter member of the U.S. Department of Homeland Security. He has also received accolades and recognition from a wide variety of organizations as diverse as the New York State Senate, Rotary International and the White House. Over the years, Joseph has contributed his time and talents to dozens of charitable organizations and continues to give a portion of the proceeds from all of his productions to charitable organizations.